The mission of United Cerebral Palsy of Rhode Island is to advance the independence, productivity and full citizenship of individuals with cerebral palsy and other disabilities. 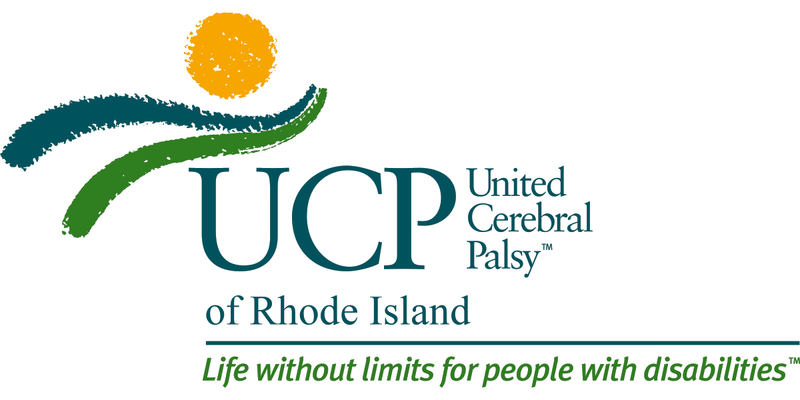 As the local affiliate of United Cerebral Palsy (UCP), our organization educates, advocates and provides support services to ensure a life without limits for people with cerebral palsy and other disabilities throughout of all of Rhode Island. UCP and its nearly 70 affiliates have a mission to advance the independence, productivity and full citizenship of people with a spectrum of disabilities by providing services and support to more than 176,000 children and adults every day—one person at a time, one family at a time. UCP works to enact real change—to revolutionize care, raise standards of living and create opportunities—impacting the lives of millions living with disabilities. For more than 60 years, UCP has worked to ensure the inclusion of individuals with disabilities in every facet of society. Together, with parents and caregivers, UCP will continue to push for the social, legal and technological changes that increase accessibility and independence, allowing people with disabilities to dream their own dreams, for the next 60 years, and beyond. The UCP network has helped millions of people live life without limits, dream different dreams and change the paradigm of care and standard of living for people with a spectrum of disabilities. It all began in 1949, when parents of children with cerebral palsy came together, looking for help, answers and information, and UCP was founded. The first half of the 20th century was a difficult time for people with disabilities – but throughout the 1950s and 60s, UCP raised awareness about horrific living conditions, leading to liberation of thousands of people from institutions nationwide. We’re still pushing for civil rights protections and public policies that provide support that ensures fair and full citizenship for people with disabilities. We’re committed to change and progress for adults and children with disabilities, whether it is a disability evidenced from birth, the result of an accident, or as a consequence of aging. UCP local service providers, known as affiliates, provide services and support on a community-by-community basis, serving the unique needs of people with disabilities in their region. More than 65% of people served by UCP have disabilities other than cerebral palsy, including Down Syndrome, Autism Spectrum Disorder, physical disabilities and traumatic brain injury (TBI). UCP provides an online resource and community, My Child Without Limits, for parents and caregivers to exchange information and to help young children with any developmental disability or delay, start achieving a life without limits at an early age. By harnessing innovation—from adaptive technologies to the ingenuity and pioneering spirit of our affiliates—we are advancing independence and productivity for people with disabilities. We strive to build a better world for tomorrow, today. The backbone of UCP is the services provided by our affiliates, including housing, therapy, assistive technology training, early intervention programs, individual and family support, social and recreation programs, community living, state and local referrals, employment assistance and advocacy. Moving forward, we will continue to advance independence by making cutting edge, life changing technologies accessible and affordable.